Yosemite Insurance Company is a property and casualty insurance company specializing in credit related insurance products. They also sell a variety of other insurance plans; however, they do not, nor have they ever, sold health insurance. Yosemite Insurance Company is a subsidiary of Springleaf Financial Corporation. Although founded in California the company is now based in Indiana. Find a company in your area that sells health insurance. Simply click here and enter your zip code for a free list of health insurance rate quotes from several companies. Yosemite Insurance Company was originally founded in California in 1964. In 1998, it was purchased by American General Finance Corporation, a company that had been established in 1920 in Indiana, and was itself a subsidiary of the financial giant AIG. At that time, Yosemite was moved to Evansville, Indiana. Recently American General Finance Corporation was acquired by Fortress Investment Group and renamed itself Springleaf Finance Corporation in 2011. Today, Yosemite Insurance Company is led by president and Chief Executive Officer, Frederick Wallace Geissinger. The company employs approximately 700 employees and makes a little over $50 million per year in revenue. If you would like additional information on Yosemite Insurance Company, you can find an online contact form on the Springleaf Financial website. You can also contact the company directly by calling or writing. A.M. Best downgraded Yosemite Insurance Company from A (Excellent) to B (Fair) in 2011. 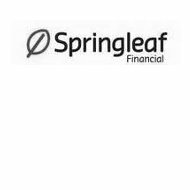 This was not due to any financial instability within the company itself, but the decline of Springleaf Financial, its parent company. The Better Business Bureau rates Yosemite Insurance Company an A+. This is based on the length of time the company has been in business, the complaint volume compared to other companies of a similar size, and the company’s response and resolution of the four complaints it has had filed against it. You can visit an office to speak with an agent or contact one via phone. Talk to friends and family members about companies they would recommend or not recommend. Make a list of local companies to call and find out additional information about their policies. Get rate quotes from several providers in order to narrow down your search to those within your budget. Find out which types of insurance your current physician and any specialists you visit regularly accept. Unless you are willing to switch doctors, this will narrow your search further. Once you have narrowed your search down to a few companies, compare their policies, physician networks, rules, and rates side-by-side to find the health insurance company that fits your needs. Get started now finding a health insurance company. Simply click here and enter your zip code for a list of rate quotes from several health insurance providers.